From English, French, Spanish and Russian to Pashto, Tagalog, and Swahili, this is the first comprehensive reference work to provide detailed information about the world's forty major languages. 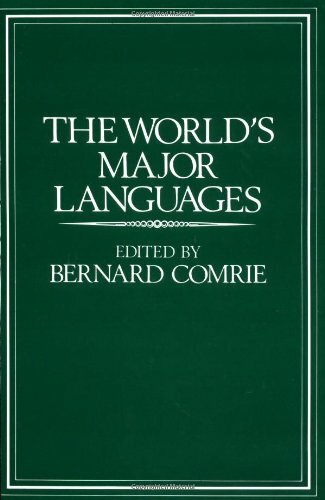 Written by acknowledged specialists in the field, the volume begins with a general introduction to language and language families, followed by language-family sections that provide an informative essay about that language, and individual chapters that discuss the history, distribution, syntax, grammar and punctuation, writing and spelling systems, standards of usage, and other important aspects of each language. If you have any questions about this product by Bernard Comrie, contact us by completing and submitting the form below. If you are looking for a specif part number, please include it with your message.